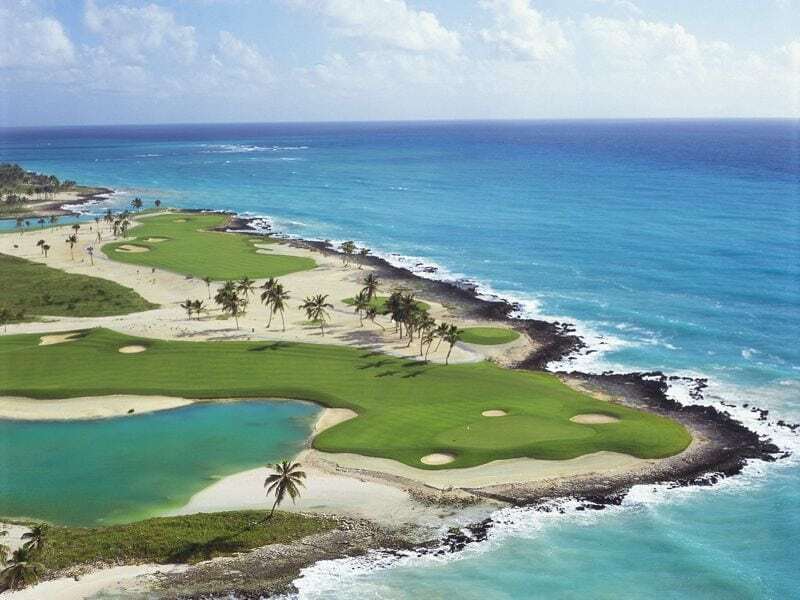 Legendary beaches with luxury accommodations and world-class golf create everlasting memories in Punta Cana, Dominican Republic. 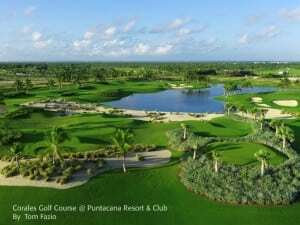 Grupo Puntacana, led by original founders Frank Rainieri and Theodore Kheel present “ A Unique Way of Life” on 17,000 acres with eight miles of sugar white sand beaches on the Tortuga Bay and 45 holes of championship golf against the beauty of the Caribbean sea and the Bay of Corales. The Tom Fazio designed Corales Golf Club opened to numerous awards such as #14 of Top 20 International Golf courses. 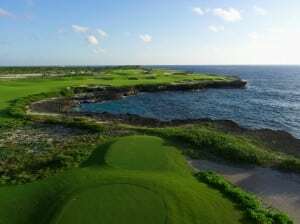 La Cana Golf Club was listed at #15. 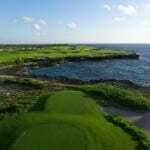 These are the only two courses in Dominican Republic that made the list. 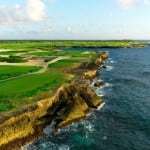 Corales has 6 holes on bluffs overlooking the Bay of Corales with the last three aptly named the Devil’s Elbow. 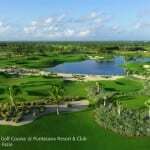 The enormity of its layout can be explained in golf course design. 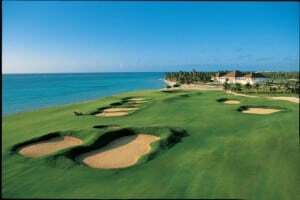 Average golf courses are on 150 acres with around 89 acres of playable grass. 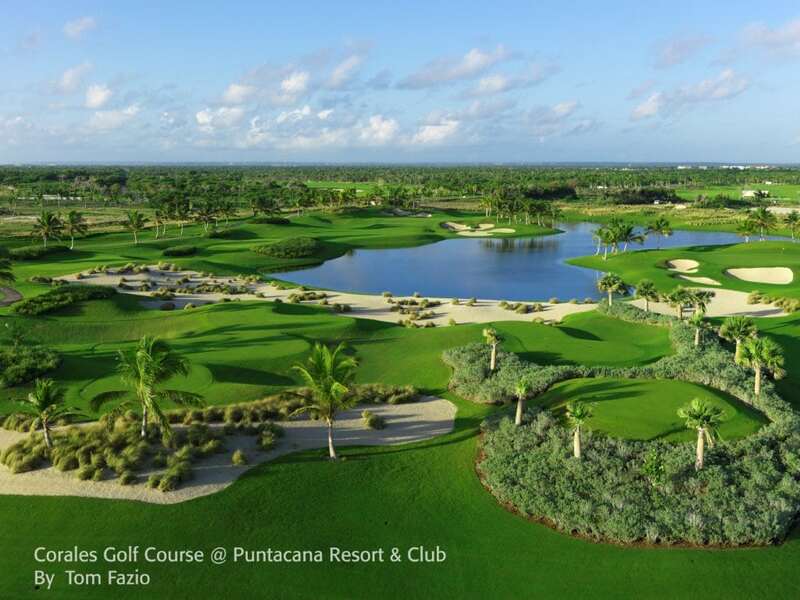 Corales is set upon 350 acres with 230 being Paspalum Supreme. 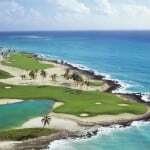 Now add strategically placed bunkers and massive elevated greens with water features among native tropical vegetation and immaculate floral designs and you have one of the most awe inspiring courses of anywhere in the world, especially sensed on the finishing green with a 180 degree view of ocean and waves. 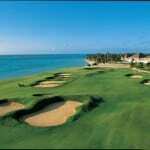 Mr. Ranieri wants you to enjoy the course, and go enjoy your family, so the beach beckons. 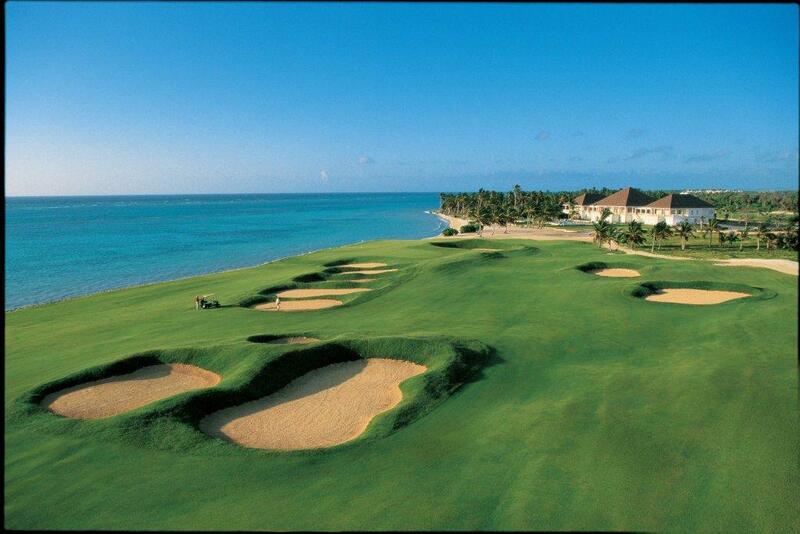 Rather than linger at the 19th hole, take an ice-cold Presidente beer with you. It is stored in the freezer with no fear of exploding bottles because like vodka, it has enough alcohol content -beware. 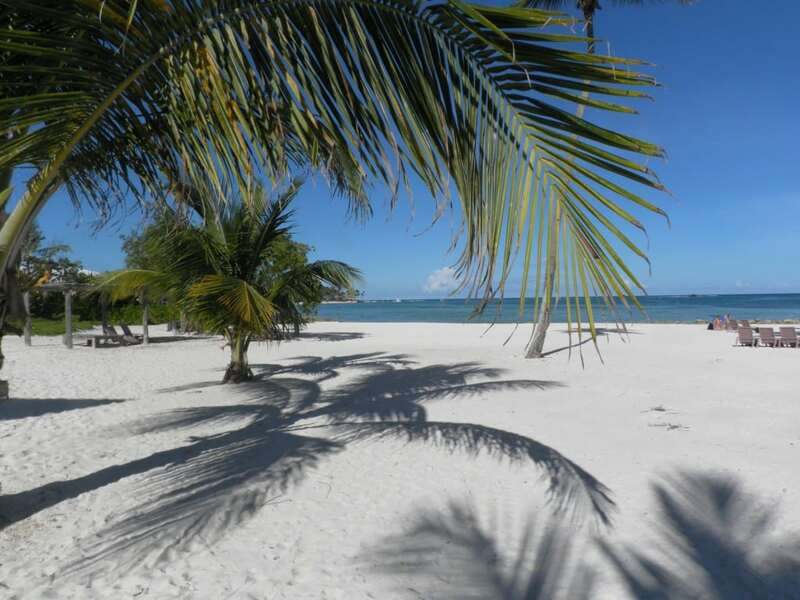 Daily fishing expeditions are available at the Punta Cana marina. 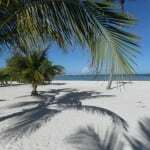 Or just say hola to La Yola restaurant there perched on the shore in such a way that feels like you are boating. And the seafood is as fresh as it gets.